The data you upload and share on social networks, search engines, and other online services lives on those providers’ servers, which means you have no control over how those companies use it. 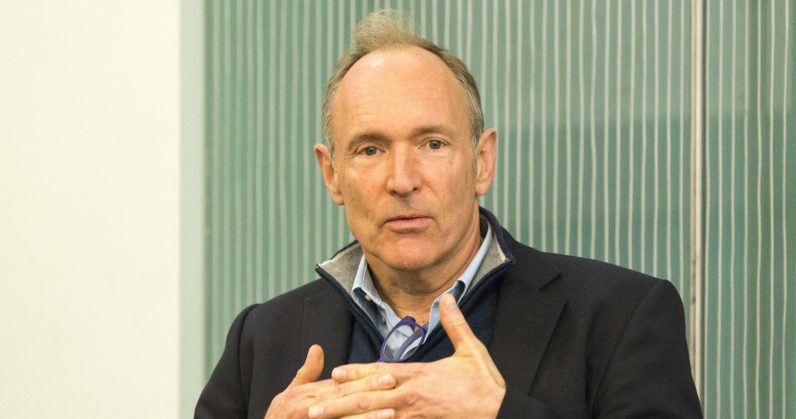 But now, Sir Tim Berners-Lee, who invented the world wide web in the late 80s, is working on a startup whose mission is to help people control their data – by building the internet of the future. The company is called Inrupt, and its main offering is Solid, a platform that lets you decide how you want to store your data. This includes your contacts, photos, music library, calendar events, fitness and health activity, and everything in between – and control access to said data. Your data is stored in a Solid POD (Personal Online Data store), which is essentially a secure spot on a hosted server, or a server that you spin up yourself. You’ll also get an identity associated with this POD. Once that’s sorted, you can sign up to use apps in the Solid ecosystem, which are currently in the works. Potentially, you could see just about any sort of online service you already use on this platform, such as a social network, an email inbox, and a streaming music service. But these apps will only be able to connect to your POD and read or write data to it if you grant access. In other words, you’re in charge of API control over your POD, and the data doesn’t live on those companies’ servers. To recap, the danger of companies storing your data on their servers is that they can decide what to do with it. They could generate detailed profiles of users so as to allow advertisers to target specific groups of people, or mine it for insights and sell those to third parties. These serve as channels of revenue for the service providers you sign up with, and turn you into a target for businesses and organizations that want to sell you products and ideas. …one idea Berners-Lee is currently working on is a way to create a decentralized version of Alexa, Amazon’s increasingly ubiquitous digital assistant. He calls it Charlie. Unlike with Alexa, on Charlie people would own all their data. That means they could trust Charlie with, for example, health records, children’s school events, or financial records. That is the kind of machine Berners-Lee hopes will spring up all over Solid to flip the power dynamics of the web from corporation to individuals. That sounds great in principle, and it could potentially appeal to people who have already spent years of their lives online, and are concerned about data privacy. But I’ve got so many questions about whether this will work, and whether the Solid ecosystem will foster apps that we’ll actually want to use more than the ones we already have. And please bear with me if some of these seem to be borne of ignorance about how such systems work — Feel free to have at me in the comments section. First off, I wonder about the scope of data that Berners-Lee expects people to store in PODs, and how we’re supposed to maintain it. All my contacts currently live in Google’s cloud, and so do the contents of my multiple email inboxes. Am I supposed to export and migrate it all to PODs so I can use related apps for contact management and email on the Solid platform? And is it my responsibility to avoid issues like duplicate entries? While we’re on this, you can already create a POD and Solid Identity for free via Inrupt’s site, and there’s a rudimentary system for adding content like contacts, notepads, and calendar events. The formats for these appear to already have been defined – but what happens if there’s a new Solid app that generates more types of data than are currently allowed in your POD? For example, what if a notepad app wants to allow you to save Live Photos along with your text notes? Next, some services work best at scale. A good example of that is a streaming music service, which not only requires a large monetary investment into licensing millions of tracks to attract users, but also needs to build user profiles so it can recommend songs based on your listening habits. Will such services make sense on Solid, where providers don’t have the ability to store data on customers? Similarly, these large-scale services make business sense when they can grow their audiences quickly and sustainably. I imagine that Solid-based apps will initially only attract people who are concerned enough about data privacy to pay a premium for it, over and above the cost of the services they use. That might turn out to be a small number of folks initially. Meanwhile, incumbents will continue to garner users through their existing marketing channels. So, at this point, it’s hard to say whether Berners-Lee has hit upon the best way to give users back control of their data. What’s clear is that there certainly is a need for this sort of thinking, and a way to disrupt the existing models that rely so heavily on people giving away their data. We’ve contacted Inrupt to get a better sense of its vision, and will update this post – or perhaps follow it up with a separate piece – if there’s a response.